The idea of a Learning Society was first forward by the United Nations Educational Scientific and Cultural Organization (UNESCO) in its famous report, titled “Learning to be “. According to these report, a learning society is one in which all agencies of a society are educational providers; not just those primary responsibility is education. Similarly all citizens should be engaged in learning, taking full advantage of the opportunities provided by the learning society. True to these words, Kerala has always been a learning society. The educational and social reforms of Maharajas, the relentless efforts of Christian missionaries, the educational pursuits of Nair Service Society, the contribution of Sree Narayan Movement and a galaxy of social reforms laid a strong educational base in Kerala. India has very rich and long history of education: education which has been passed on from one generation to the next of thousands of years in various fields of knowledge. People passed on skills along with the rigor of knowledge and human values. It was an integrated kind of an education. The concept of continuing education, post literacy or lifelong learning has been embedded in almost all traditional philosophies. Continuing education is seen as going far beyond what is already practiced, particularly in the developed countries such as upgrading with refresher training, retraining and conversion or promotion courses for adults. It should open up opportunities for learning for all, for many different purposes. Education should enable people to develop awareness of themselves and their environment and encourage them to play their social roles and work in the community. It should help keep pace with the development of new knowledge of today particularly in the domain of information and communication technology. It should help acquire new skills to face global competitiveness. Therefore, continuing education, post literacy or lifelong learning will soon become a reality for all people. Lifelong learning means learning throughout life. It is not confined to childhood or youth but takes place in mature adulthood as well as in older age. This is a major change from traditional approaches to education and learning. Adult education is a powerful auxiliary and an essential incentive to primary education. The concept of adult education has brought a new hope for adults who could not get opportunity of receiving education during their school years. Through various programmes and techniques of social education, the illiterate farmers in the fields, laborers in the factories and others can be acquainted with the latest developments taking place in their on fields and thus they can be made happier and useful citizens who would understand their rights and duties given to them in the constitution of free India. Adult education is very much needed to change the various facets of the life of our adults. It is essential so that the masses may be trained in various habits to enable them to lead a happier life. Literacy will provide them opportunities of reading and writing and will liberate them from the chains of ignorance. Adult education will bring them in close contact with their community and country’s cultural heritage. Adult, continuing education and post literacy is one of the prestigious programmes of University Grants Commission. In American and European Universities, this programme enjoys much importance while in Indian Universities; it is struggling to survive within the University system. In India the unique style of interpretation of Adult education is Adult Literacy (3Rs). We are focusing on Total Literacy, Residual Literacy, post literacy, continuing education etc. The scope of Adult education is unlimited. In India at the beginning, the priority was given to adult literacy and it is the time for ‘Mission for Continuing education’. Adult education is a vibrant, fueled by expanding demand and interest with broad range of possibilities in both public and private sector. In Academic Adult Education, being ‘adult’ does not refer to age, but rather the mode of study and the objective of the students. Adult education within universities is an open non-formal system of education which is aiming at complementing and supplementing the requirement of students and community and contributing to the principles of Lifelong learning. Post literacy or post literacy education is a concept used in Adult education programs aimed at recently illiterate or ‘neo-literate’ adults and communities. Unlike continuing education or further education, which covers secondary or vocational topics for adult learners, post literacy programs provide skills which might otherwise be provided in primary education settings. Post literacy education are programmes which aim to maintain and enhance basic literacy, numeracy and problem solving skills, giving individuals sufficient general basic work skills enabling them to function effectively in their societies. Post literacy programmes are designed for adults who want to strengthen their literacy skills. They may be immigrants, slum-dwellers or elderly rural poor. Jana Shikshan Nilayam (JSN) or People’s Centre of Learning was conceived and introduced in 1988 as an innovative institutionalized framework for post literacy with a view to arresting the unfortunate and recurring phenomenon of relapse of neo-literates into literacy on the one hand and for promotion of a learning society on the other. A set of comprehensive guidelines on location of JSN, selection, training and placement of Prerak, procurement of materials and the modality of conducting the plethora of activities in the JSN were also issued to State Government and other agencies interested in setting up the JSNs. National Literacy Mission is also a technology mission in as it seeks to harness the finding of scientific and technological research to improved the pace and quality of the programme and to create a better teaching- learning environment. A literate who has just completed a basic literacy course is not guaranteed retention of that skill. As for any other skill it could become diffuse and fade out in time unless it is systematically strengthened. A well-designed post-literacy programme may be able to save the situation. With material designed to suit the interests of the target group, post-literacy skill should be able to reinforce and consolidate basic literacy skills both cognitively and affectively. Post-literacy is a bridge towards autonomous learning. To reach the stage of autonomous learning means to be within the grasp of being a life-long learner. Post-literacy programmes develop reading habits while at the same time enhance writing and numeracy skill. Without post-literacy programmes, or their equivalent, a learning society cannot materialize since the neo and semi-literates will not be motivated to go beyond basic literacy skills. Post-literacy programmes provide a second opportunity for the disadvantaged to become life-long learners. A keen student within a post-literacy programme has wide options from which to choose further education. Such a student can either enroll in an equivalency programme and so have the chance to enter the formal system again, or he or she can go to other types of continuing education such as vocationally-oriented income-generating programmes or others. In this sense, post-literacy programmes are liberating forces which provide the opportunity for participants to continue to learn throughout life. Effective communication fosters understanding and promotes ties in the community. Humankind is gregarious by nature. Being gregarious we must have the skill to communicate to others and to listen effectively. Effective communication, including listening, requires certain skills. These skills can be acquired through training. Communication training programmes can be designed and made available to every interested individual. Communication skills, therefore, should be a central part of any post-literacy programme. They should be carefully developed to enhance understanding of society and of the community. Appropriate technology transforms the development of any country. Post-literacy programmes can be an effective instrument to transfer required technologies to disadvantaged groups and to change a listless «observer» into a productive energetic member of the labor force. The most successful post-literacy programmes are associated with the work force. The advanced skills of reading, writing and numerically required for autonomous learning are developed loped in association with the functional knowledge needed by participants to be maximally efficient as employees. The significance of such an approach for the overall upgrading of technology and for improvement in individual and commercial efficiency is self-evident. This type of approach makes a major contribution to the economic well-being of individuals and of the nation as a whole. Drop-outs, disadvantaged groups and low-income earners have a feeling of hopelessness. For them the future is bleak. Their children are unlikely to have a meaningful place in society. Survival is by chance. Motivation to improve and the will to excel in life is marginal if not zero. Feelings of helplessness and the sense of alienation can be overcome. Making such people realize that each and everyone has the same unharnessed potential and that everybody is capable of attaining the best in life, will motivate them to excel in whatever field they decide to undertake. This is possible because a post-literacy programme is an educational activity. Being educational it is an effective tool to affect changes in attitudes and behavior towards life. Post-literacy cultivates, develops, strengthens and stimulates the power of the target group. The Kerala Sastra Sahitya Parishad (KSSP) is a scientific, cultural organization, promoted to popularize science among ordinary people. It was established in 1957. It organizes classes, lectures, science clubs, science corners, science fair, and adult literacy classes and so on. KSSP led the total literacy campaign of Ernakulum district and Akshara Keralam Project of the state. Panchayat Resource Mapping Campaign of KSSP has mobilized very large number of citizens. The field level resource mobilization led to Kerala Total Literacy Campaign and later to the People’s Planning Campaign. It has published more than 100 books to cater to the needs of different sections of the community. This includes children’s literature, social science, popular science, life history and references. In addition the KSSP has published research reports on current issues of Kerala. Today KSSP provides resource support to other states for their literacy campaigns, continuing education programmes, resource mapping, and popularization of science, local survey, and micro planning and so on. Mitraniketan is a non-governmental organization dedicated to non-formal education programme. It is a rural community centre open to all individuals and families irrespective of race, colour, creed or nationality and provides motivation to better their lives and to serve the common men. Mitraniketan has also started adult literacy centers in villages. Programmes of non-formal education are organized for propagating functional literacy, family planning and childcare and health education. Training programmes have been organized targeting farmers, women children and out of school children. Mitraniketan has started a rural technology centre where, rural technology is intended to be promoted. Quilon Social Service Society (QSSS) is functioning as a registered voluntary organization for social action in Quilon Diocese from 1960 onwards. The society’s aim was to start one comprehensive non-formal education centre attached to each of its local units and also to have all the three stages of adult education viz. literacy, post-literacy and continuing education. QSSS launched a new scheme for converting adult education centers as centers for helping the very poor families of the localities, to involve themselves in development oriented self-help programmes. The idea of a ‘Learning Society’ was first put forward by the United Nations Educational Scientific and Cultural Organization (UNESCO) in its famous report (1972), titled ‘Learning to be’. According to this report, a learning society is one in which all agencies of a society are educational providers; not just those whose primary responsibility is education. Similarly, all citizens should be engaged in learning, taking full advantage of the opportunities provided by the learning society. True to these words, Kerala has always been a learning society. The educational and social reforms of Maharajas, the relentless efforts of Christian missionaries, the educational pursuits of Nair Service Society, the contribution of Sree Narayan Movement and a galaxy of social reforms laid a strong educational base in Kerala. The socio-political movements, freedom struggle and trade union movements have played a very significant role in creating a suitable environment for people’s participation. Excellent network of rural libraries, better transport and communication facilities, people’s perception towards education, social mobility, political commitments are some major factors which provided a conducive climate for the people to learn. · To create a Learning Society through Life Long Education. · To equip the adults with practical knowledge & problem solving skills to reform the society. · To bring about fundamental, social, economic and cultural changes in society. 2. Income -generating programmes: Where the participants acquire or upgrade their vocational skills and take up income –generating activities. 3) Quality of life improvement programmes: This aims to equip learners and the community with essential knowledge, attitude, values and skills to raise their standard of living. 4) Individual interest promotion programmes: to provide opportunities for learners to participate and learn about their individually chosen social, cultural, spiritual, health, physical and artistic interests. Post-literacy is a part of the continuing education process. Post-literacy programmes are designed to strengthen the literacy skills so that the learner can follow meaningfully other opportunities offered by other continuing education programmes. The diagram below clearly shows the role of post-literacy in the education process. The central column of the diagram (Figure 2.1) shows how educational programmes can be planned and sequenced by an individual throughout life. The programme can be formal, or non-formal in nature. Any educational activity after childhood is considered as continuing education. The target group may be semi-literates, neo-literates or autonomous learners. Objective of making learning is relevant to living and working. However there is a major difference between post -literacy and other programmes. The basic difference is that in the case of post-literacy programmes, the advocator must stress rehabilitation activities. This is because it is possible for neo-literates and semi-literates to regress to even complete illiteracy. This is less possible in other programmes, especially among equivalency learners. Kerala is the first state in the country to declare total literacy, which is mainly to effective launching and implementation of various programmers. Kerala was recognized with the successful completion literacy campaign. It was also a pioneer in post literacy prorgammes as it started continuing education programme on its own initiative. 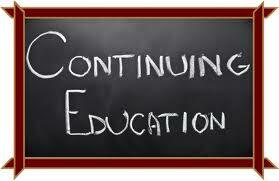 Post literacy is a process of continuing education. Its programme and activities are designed to prevent neo-literates and semi-literates from regressing into complete literacy. Post literacy programme provide the point of take off in a continuing education system. Without it, continuing education has little meaning to neo-literates or semi-literates. Post literacy or continuing education is an inevitable component of the strategy of human resource development and of the goal of creating a learning society. The aim of continuing education and post literacy programme is to consolidate the basic literacy skills of reading, numeracy and problem solving, while simultaneously transforming the learner into an educated member of the community able to participate actively and productively in the nation’s development. In post literacy and continuing education stages, greater emphasis is placed on skill development and acquisition of new learning. For those who have acquired basic literacy skills, we need to link these skills more intricately with their lives. This can only become a reality when they learn not only to practice these skills in their day-to-day life, but also clearly understand that these skills will be of vital importance to them in order to improve the quality and the standard of their lives.